Dany's Hippie Happy Blog: Do you speak the same language as your loved ones? Do you speak the same language as your loved ones? In my path to hippie happiness, I am trying to de-stress. In doing that, I have to realize I cannot make everyone happy. But what if you found out that the way you were trying to make someone smile was making no impact or worse maybe even irritating that person. Wouldn't you stop and try to change? You see your friend, child, spouse, lover, etc and you tell them how great they look and have much you love their new haircut. To you, you love when someone realizes that you got a new hairstyle because you see that as them paying attention to you and that attention to detail is not about vanity but taking the time to give you some of their moments because they care. BUT in the head of the person you just complimented, they are thinking, "Uh, is it all about how I look. Anyone can say words. I wish she would just sit down with me and teach me to play Rummy so we could spend time together." Because to that person, Quality time like doing a shared hobby is more important than any words you could pull together. You are speaking Mandarin Chinese to a person who can only understand French. 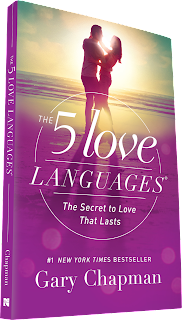 This is the theory of Gary Chapman's 5 Love Languages. 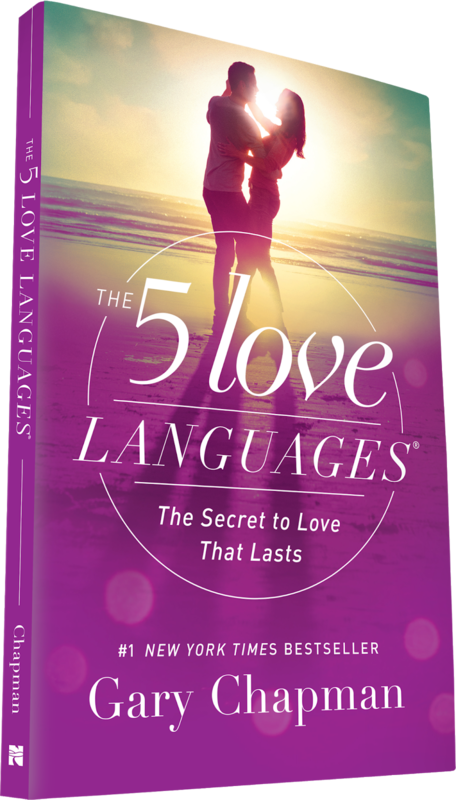 The 5 main love languages we speak are QUALITY TIME, WORDS OF AFFIRMATION, ACTS OF SERVICES, RECEIVING GIFTS, and PHYSICAL TOUCH. This theory is not just for romantic love, it can be applied to all relationships. My interest was peaked by his application of this with children. My kids are all twelve and up and I constantly feel as though I am never saying the right thing. My teen daughter will come back at me with-- Oh, didn't I look good yesterday? when I tell her she looks nice on a particular day. I have learned that she is Receiving Gifts type. And before this book and assessment, I think I thought it meant she was materialistic. But for her (and I have to admit it was in my top 3), a gift can mean that the person was thinking of her and spent TIME and money on something for her. Now for my son, he wants nothing more than your undivided attention (with your mouth shut and let him just talk, most of the time...LOL).Now I have not had them complete the assessments for kids that can be found on Chapman's website. But these are guesses based on years of being their momma and seeing what I think makes them happiest. But I will give them the quiz because I want to be the best momma to them. After my research for this, I think back over different relationships in my life and realize how else this has played out. My father was never one to say niceties or even I love you. But he would pick up some small trinket or gift when he was out of town. Each gift was always thoughtful and very specific to the person he bought it for. He may have never used words to express his love, but he was thinking of us and did try to express his love through giving gifts. Chapman's ideas are that if we can find out what our loved one's language is, that we can adapt to speak what they need to hear. And vice versa. My top three were Quality Time, Words of Affirmation and Receiving Gifts. I think the other part to remember is genuineness and quality. No one wants someone to force any of these language types. I don't want someone to make up WORDS OF AFFIRMATION just to pacify me. But a heartfelt thank you, you look nice today melts this writer's heart. Also not looking for extravagant gifts. In high school, I had boyfriends that would leave me notes on my car at work under the windshield wiper and these little gifts would keep me on cloud 9. I started researching this topic because I felt someone's view of me was skewed. We only experience this world through the filters our brain allows us to. We need feedback from others to see their point of view and to communicate in the way that they can understand and give them love in the way they want to be loved.